"And suddenly you just know it's time to start something new and trust the magic of beginnings." Years ago, shortly after my first child was born, a friend gave me a book about baseball and fatherhood titled, Covering Home. At the time, I was coaching high school baseball and entering the world of parenthood, so the book was relevant and impactful. This spring with the birth of our third child—and the onset of the baseball season—I dusted off Covering Home and flipped through many of its pages. It's a work I referenced in a blog three years ago, and it remains relevant due to its thoughtfulness and healthy perspective on parenting. Good morning, and welcome students, teachers, parents, and special guests to the 2018 Middle School Closing Ceremony. It is my pleasure to share a few words with you as we end another school year and prepare for the summer months. All of us are in this spin forever. As the new school year approaches, there is nothing more exciting than the prospect of reuniting with old friends and sparking new relationships. The school years are indeed about active learning and the pursuit of artistic and athletic challenges, but they are also about socialization. Learning how to interact with others in a healthy manner is fundamental to the upbringing of a child. In fact, respectful, thoughtful dialogue is indeed a requirement for an informed, deeply compassionate citizenry. Good morning, and welcome students, families, and teachers to our 2017 Closing Ceremony. 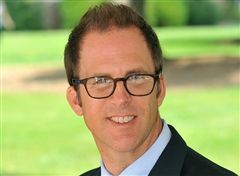 My name is Kyle Armstrong, and I am the Middle School Director at Gill St. Bernard’s; it is my pleasure to share a few words with you as we end another school year and prepare for the summer months. Like many in our country, I am anticipating the beginning of baseball season, the great American pastime. Not only does the crack of the bat and smell of grass arouse my senses after the winter slumber, but the warmth of spring delivers the world anew. Most of us have been there. Think back, if you dare, to a time in middle school or high school when you were in a play, musical, or even a class skit. Nerves were probably frayed and no doubt energy filled your body. In the midst of the holiday season, it is easy to get entangled in day-to-day logistics. In school, it's about managing the calendar, fitting in tests and quizzes, organizing concert rehearsals, and generally trying to find a resting point before the winter recess. It was the fall of 1994, and I was a freshman at Trinity College. I distinctly remember writing my first email—ever—from the college library. I wrote to a friend, and I was amazed that my letter could be sent instantaneously, without postage. That friend is now my spouse, and we often communicate via text message; who would have guessed? …on either front. Welcome students, teachers and families to our 2016 Middle School Closing Exercises. It’s been a fantastic year in the Middle School, and I am pleased to share a few words with you today before we head into the summer. We all know the value of service in our communities. Whether it's through our neighborhoods, schools or local organizations, community service in any form promotes healthy communities, positive social behavior, and—most important—provides a need for others. There’s No Handbook for this Stuff...Or is There? Often when I meet with families around middle school academic, social, or emotional issues, inevitably the conversation includes “there’s no handbook or roadmap for this” or “they didn’t tell us this when we signed-up for parenthood.” Providing context, every child has a different set of circumstances requiring each conversation to be personal and unique. Adolescent life is characterized by physical, emotional, social, and mental change, and although scenarios may be similar, each child is experiencing change in his or her own way. This dynamic creates an exciting and often unpredictable energy surrounding middle schoolers, sometimes leading to a tongue-in-cheek wish for a roadmap to follow during these times. In one of our opening Town Meetings this September, we were discussing with fifth and sixth graders the concept of respect, our 'virtue' for September. As we were defining respect and talking about what it looks like in the context of school life, a fifth grade boy raised his hand and said, "Well, respect really means to just be awesome." "Like baseball, childhood has its early, middle, and late innings. Each period requires its unique strategy to meet its particular needs." As the summer winds down, I am sure you share the same emotions I have as a parent. The summer months are great for spending time with family and friends, hanging out at the beach, and reading that novel that’s been in the queue for years. It’s also a time when we long for the routine of school, as kids and parents tend to wear on each other as September approaches. It’s the late August dichotomy that we as adults struggle to reconcile. I often think of the school year in five different phases. Last October, I wrote about entering Phase II, describing a culture of happiness and positivity in children as the foundation for a successful school year. If you live with a pre-teen or adolescent, like I do, you know that their decision-making skills are not always the best. Fooling around on the iPad during homework time, forgetting the lacrosse stick, doing the wrong assignment and pushing the limits with a sibling to the chagrin of parents are several examples of the under-developed prefrontal cortex manifesting itself for all to see. In school, the prefrontal cortex may decide to heat up a cookie in the Panini machine, slide down a slope of ice instead of using the walkway, or hide a friend’s sneaker in the locker room. How dare those tweens! As the parent of a preschooler and middle schooler, our house is often like a flea market on a hot Saturday morning: active, exciting, surprising and full of negotiation. I often think about how different our two daughters are, but as they grow through various developmental stages, in reality they are more alike than different. Elite socks. Beats headphones. Chromecast. An organized locker. All great ideas, but none match the middle school psyche as well as the ancient game of chess. Yes, that’s right—chess. I have always been a fan of poetry. From Walt Whitman, to Emily Dickinson, to Langston Hughes, the creative and mysterious front of a great poem brings a certain counterbalance to the everyday order of life. Every school year has a certain rhythm to it, a cadence of sorts. Beginning in August, teachers and families prepare for school by finishing math packets, purchasing school supplies and reconnecting with peers. The onset of school in September brings a certain energy to the hallways both at Gill and at home, as excitement revolves around new classes and friends. It seems we sprint toward back to school night and Homecoming/Family Day, moving on adrenalin and high spirits.